eddie_squidd wrote: I reckon there's a t-shirt design there Rich. You'll be turning up at shows with your custom t-shirt and hat combo. I was lucky to find my t-shirt which just *happens* to look like my Lude on the internet. I think having a custom made one of your actual car is taking it to the next level! Seriously though, your (niece was it?) could have a good sideline there if people wanted to get custom t-shirt/mug/cap artwork of their car done, maybe from a photo. Ye are glad to be dead, RIGHT? I like the artwork too - although plate should say "N0RKS" instead of the real plate? Last time I updated my Niece had done some artwork for the car in preparation for the Prelude's first foray into a 'Show & Shine' competition. 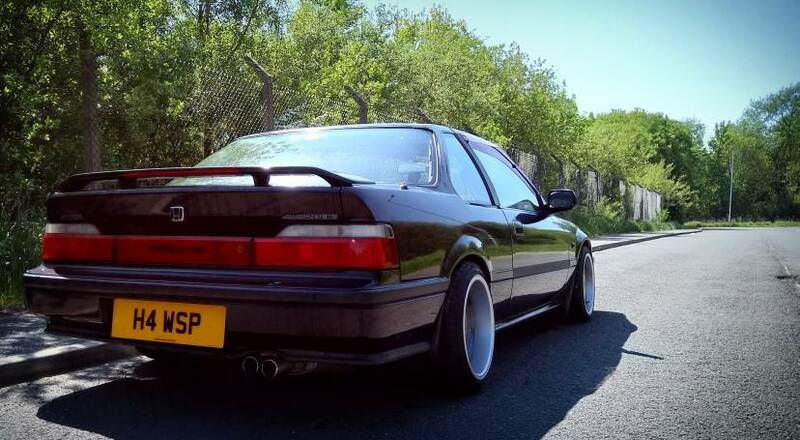 I think I'm right in saying this Prelude joined the famous line up at JAE, 2018. Of the shows I attended in 2018, this was a highlight, so much so that I've entered and been accepted for the main exhibition hall this year. She's in Lichfield which is perfect for Stoneleigh. I know Peterborough is not exactly top notch with facilities etc, but, two years running we had an elevated pitch that overlooked all - the best location. I'm going to miss that spot. 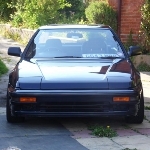 I occasionally write Honda or Prelude related articles on DriveTribe and 'The Line Up - JAE 2018' has now had 8k views. One niggle I had was the engine and it's whine on idle, a sound I had heard from another H22, (an ATR at Beaulieu). I declined an invitation to Goodwood and one of those Breakfast meets they do. 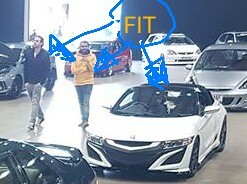 Instead the car went to Honda. To cut a long story short the car had a fresh cam belt, new water pump, tensioners, balance shaft pulleys etc. The actual problem was the bearings on the pulleys driving the balancing shafts where worn, and belts possibly too tight. The engine now feels right, sounds right as well. The whine at idle cured. This was September and I figured I'd just be leaving the car up North for the winter. However the Ficus Green took another trip to Lichfield for some cleaning. Early morning meet, a Phoenix Yellow Prelude and S660 soon to arrive. The bumper and lip are to be resprayed this year, at least that's the plan. In terms of body work it's the last section to be properly treated. Previous smart repairs to the front bumper haven't really lasted long, so it needs a proper respray. 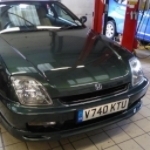 The plan now is maintenance and a few odds and ends that I'd like to see done, front bumper for one, ohh and pin dents that I swear where picked up in the Honda garage car park. Turned out to be a massive photo dump, sorry about that.